Your value proposition should clearly speak as to why the consumer should buy from you. You need to convey your message across that why and how your offerings are great and that it should not take long for the customers to figure out the worth of your offer to redeem it for their information. You can accomplish it many ways such as by updating the image on the landing page to reveal what’s inside the offer, giving a clear idea about your offer through the headline or by adding a more descriptive copy. 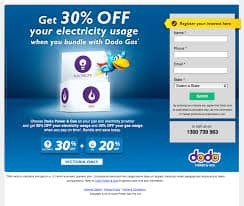 Besides, if you want to confirm if the value proposition of your landing page won’t take time to be figured out by the customers, you can take suggestions from others in your office or may be your current customers asking them what have they would done with the offer , and make alterations accordingly. 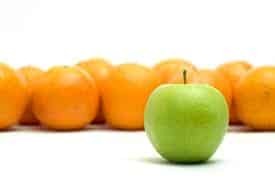 In both the ways, whether your form is too long or too short, it is going to impact your lead generation negatively. I know you want to gather as much information possible, for the visitors seem interested in your offer but that’s not a good idea. Visitor might find it too lengthy than worth the offer, especially if they are on mobile. So, try making it short and succinct removing those fields that are not crucial for your sales team and if things can be managed even without them. Just like the long form can be frustrating for the visitors short forms can be for you as you will of course be getting leads but unqualified due to the lack of some crucial information for sales team to start the conversation with your leads. Besides, make sure you are using smart forms or progressive profiling to make the task easier for the visitors as the next time they redeem any of your offers they won’t have to fill same fields again. So, you can maintain your form lengths and gather all crucial information easily. Right now we discussed that landing pages with long forms aren’t suitable for mobile but that isn’t the only reasons for mobile and tablets visitors to get deterred. A non-responsive landing page, CTA below the fold or even a huge image on landing page might impede the visitors to access your form, eventually hitting your sales. 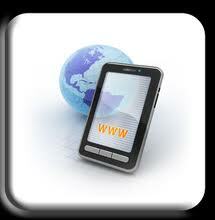 So, make sure you are not overlooking mobile traffic to your landing page and missing a big number of prospects. Yes! You must acknowledge that the information that visitors gave in exchange for the offer was successfully submitted otherwise it might make the visitors to think if their information was submitted or not and whether they will be followed up on this or not. Besides, it makes for a poor user experience. 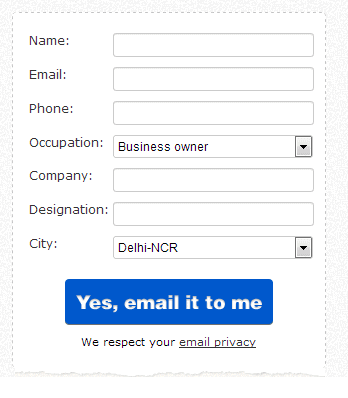 Thus, make sure you have a Thank you to which visitors get redirected after submitting their information. It will not only give them the best experience possible but also an opportunity to you to extend another offer to them. So, don’t make such silly mistakes and miss out on more traffic, leads, and customers. 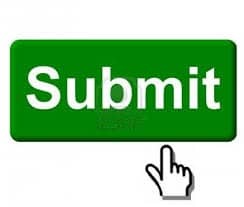 Let the visitors know what are they going to get once they submit their information, by making your submit button to say about the offer that has to be redeemed, such as ‘Get Your Free Guide’ , ‘Download your EBook’ and so on. The point is reduce any kind of uncertainty about your offer by customizing the submit button. Picture is certainly worth a thousand words as they help you illustrate your point better. You must include relevant images on your landing page to not only make it more understandable for visitors but also soothing to their eyes. However, if the image is not relevant to your offer and is telling a wrong story it will neither help your visitors nor you with anything. The idea behind putting an image on landing page is to illustrate what’s there in the text, make sure it’s getting accomplished. Your main intention behind the landing page is to generate leads however too much information on your landing page might distract the visitors from something you wanted them to do. Website footer, multiple CTAs and so many things like these do nothing but distract them. 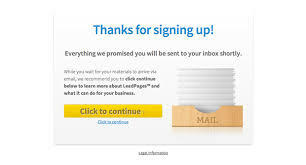 Besides, you always have an option to give as much information as you want to your visitors through the thank-you page and other supplementary web pages after they have filled up the lead capture form. 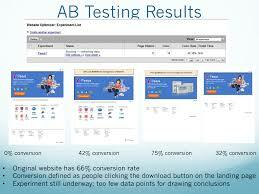 Like it’s important for any other part of marketing, testing and alterations are required for landing page as well. 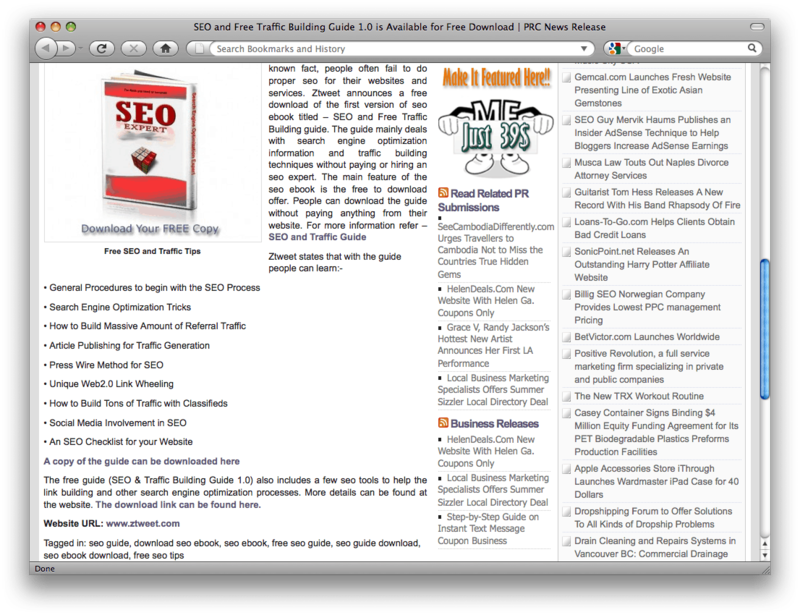 You need to test which landing pages are giving better conversions and which are not. 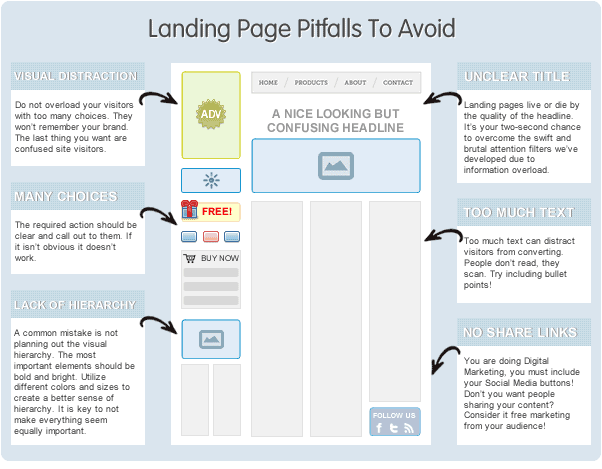 You can’t go blindly with landing pages and to know what will work for your audience, you need to test them. I know you were not doing it intentionally; it is just that you perhaps didn’t think about it. However, now when you know the about the mistakes that you were making with landing pages, it must have been clear to you that why in spite of all your efforts your landing pages were not converting as per your expectations. So, stop making these mistakes and see a great hike in conversions. It’s never too late to walk on a path that is destined to your destiny than going on a wrong track.